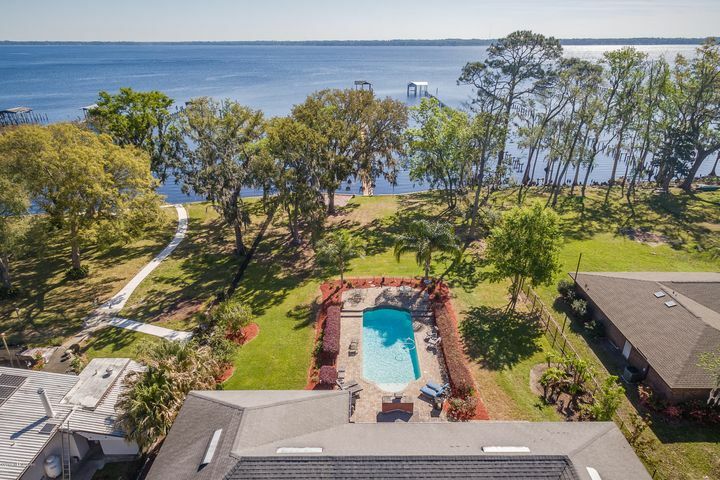 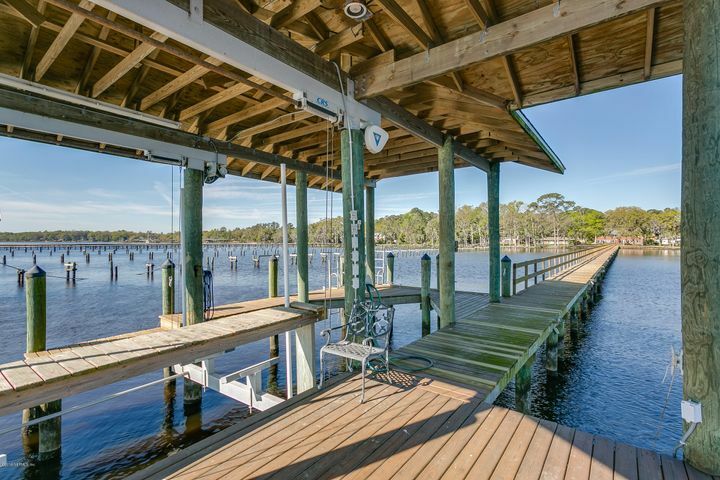 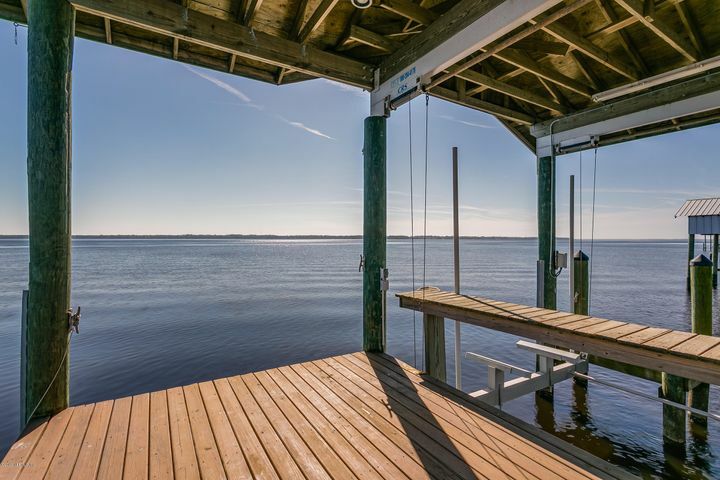 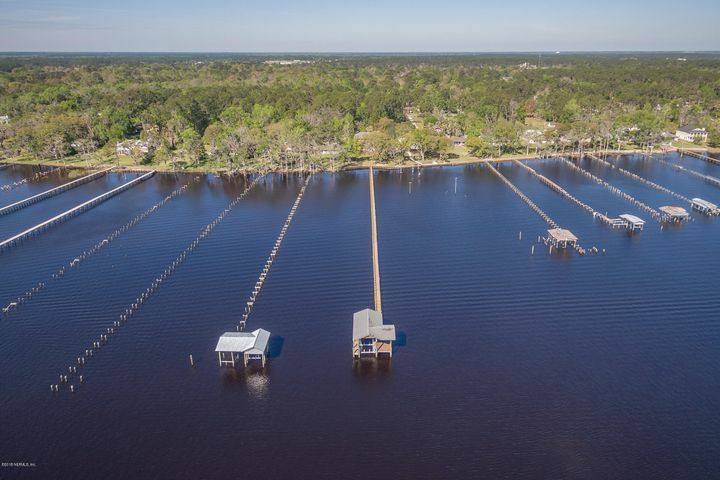 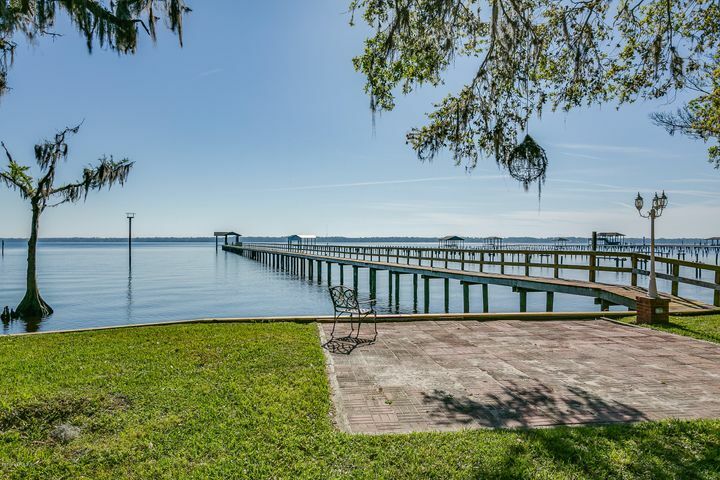 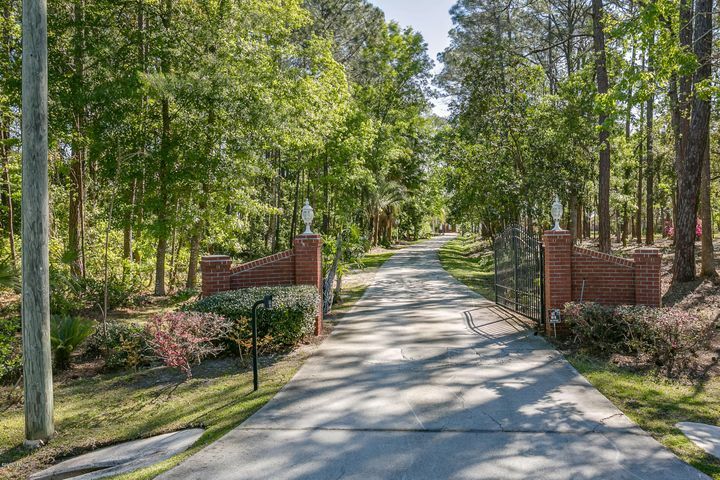 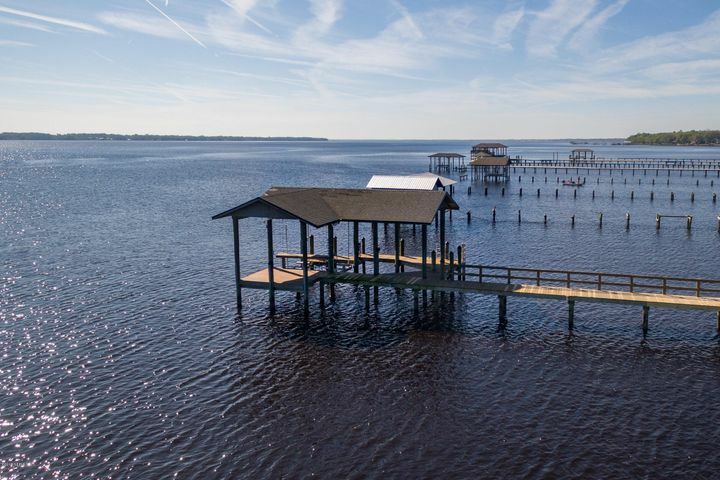 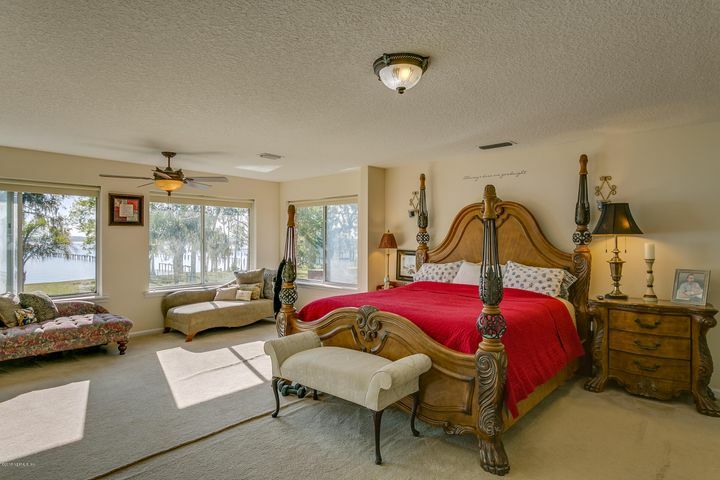 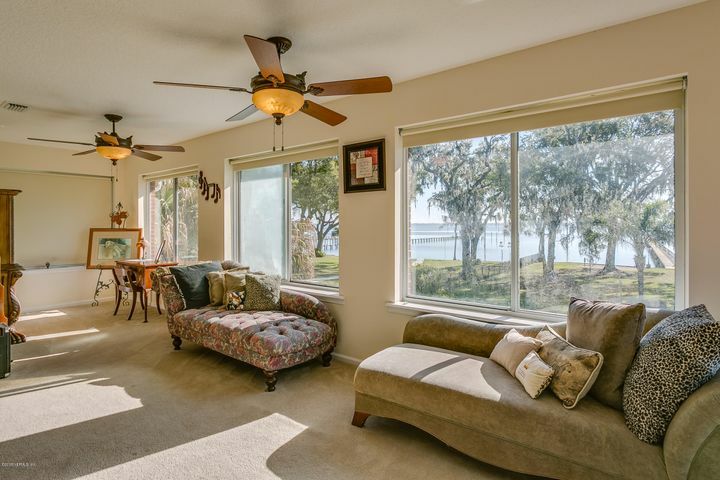 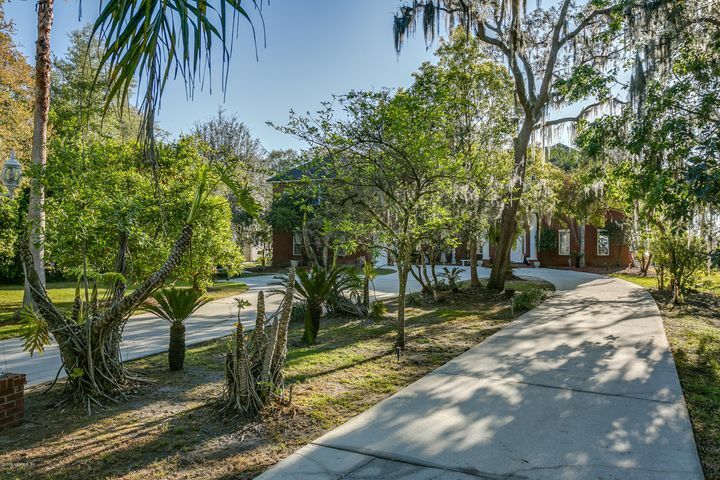 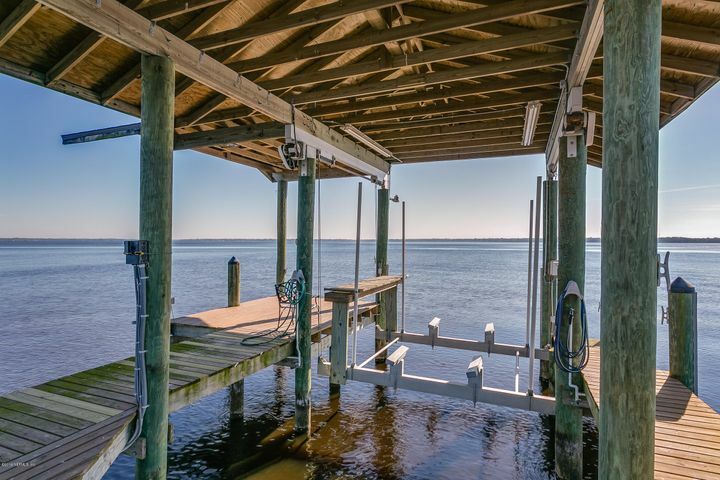 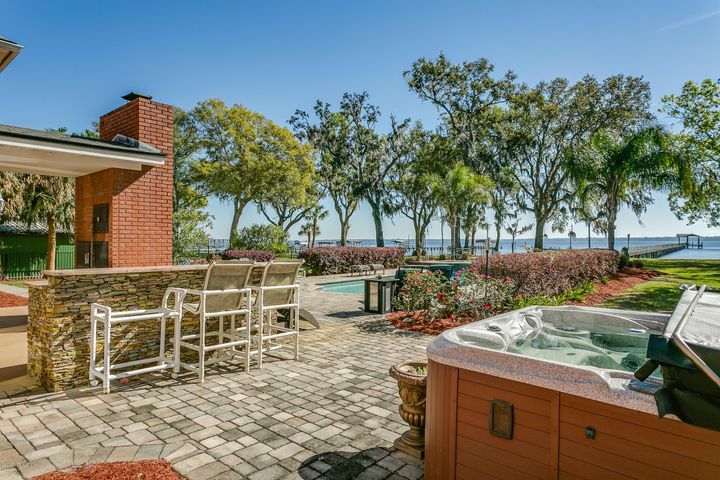 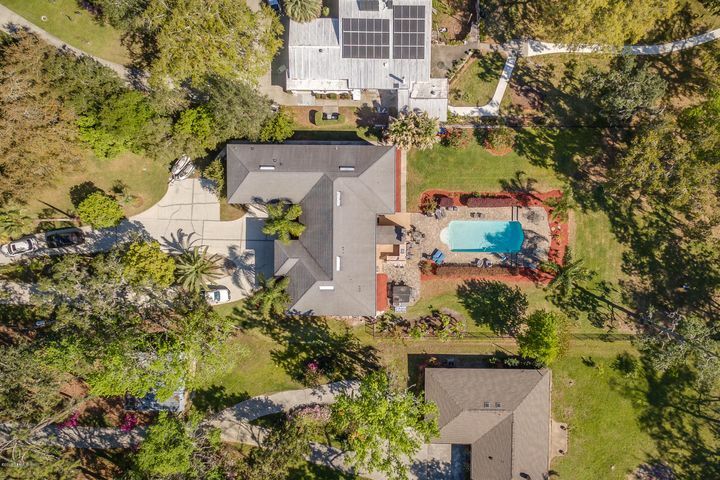 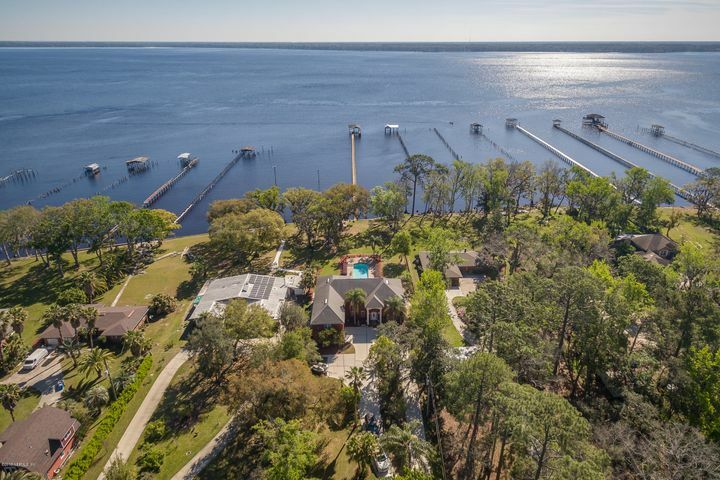 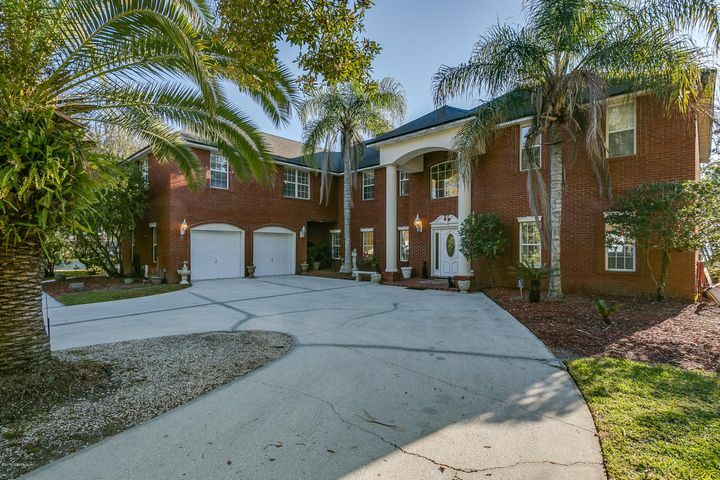 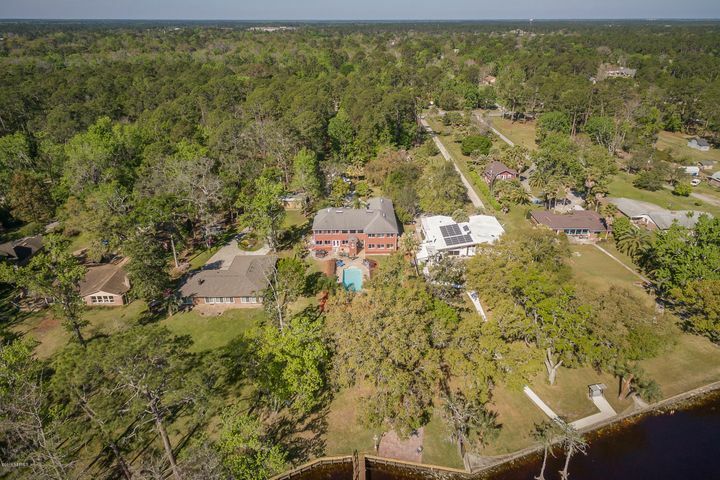 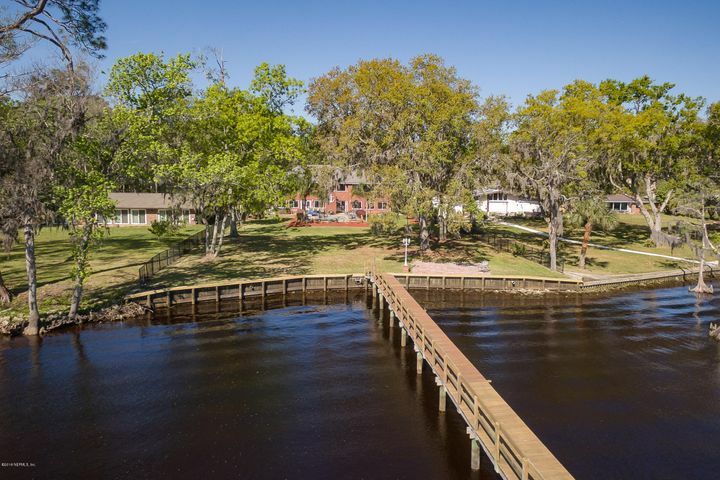 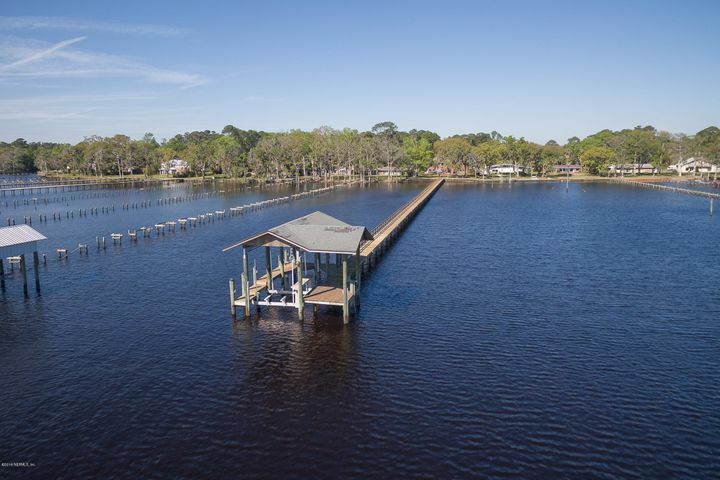 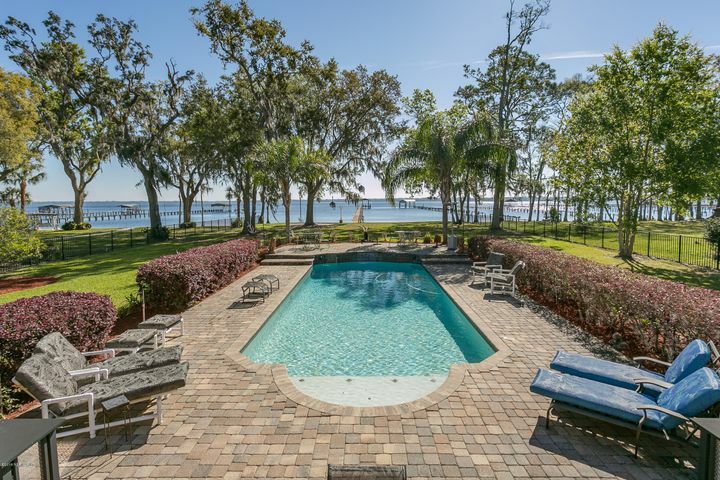 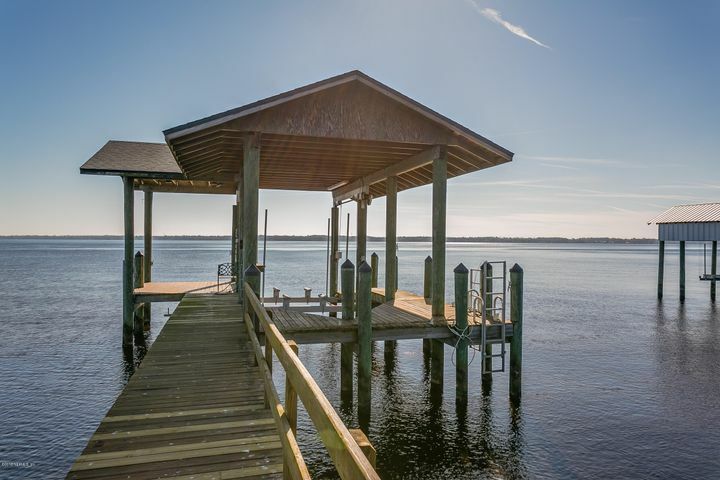 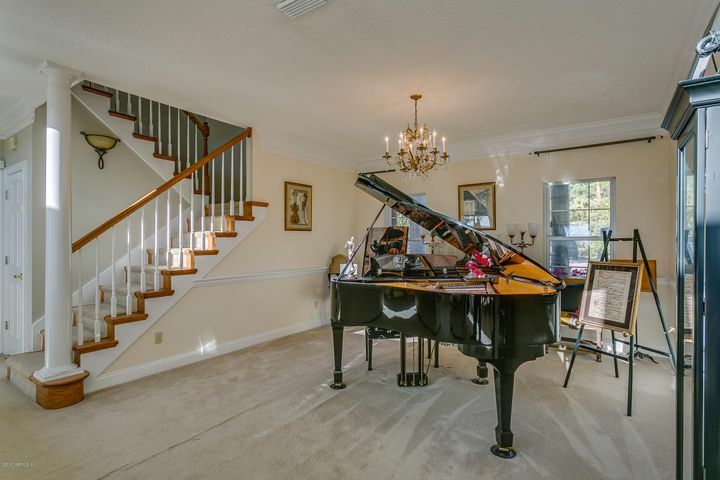 Riverfront estate in the heart of Fleming Island with a wide, sweeping view of the St. John's River. 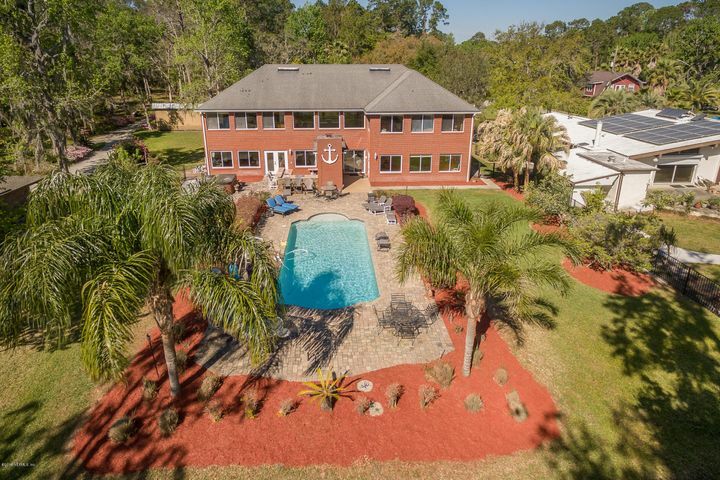 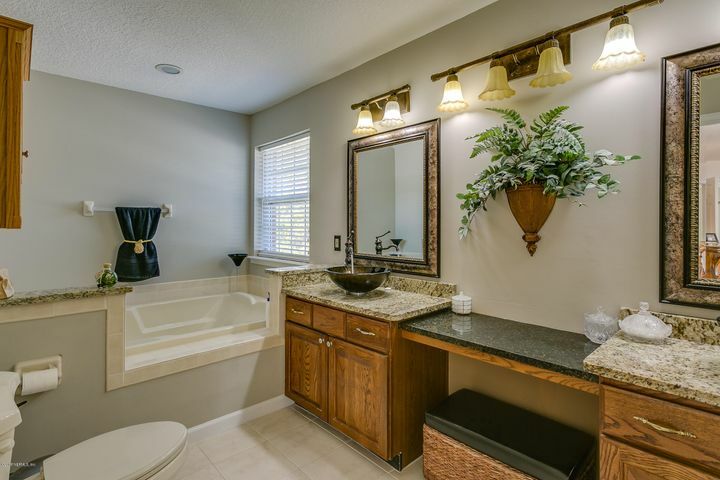 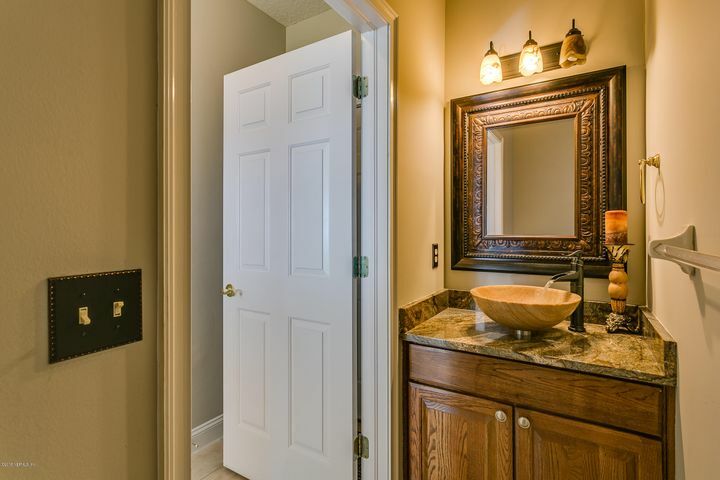 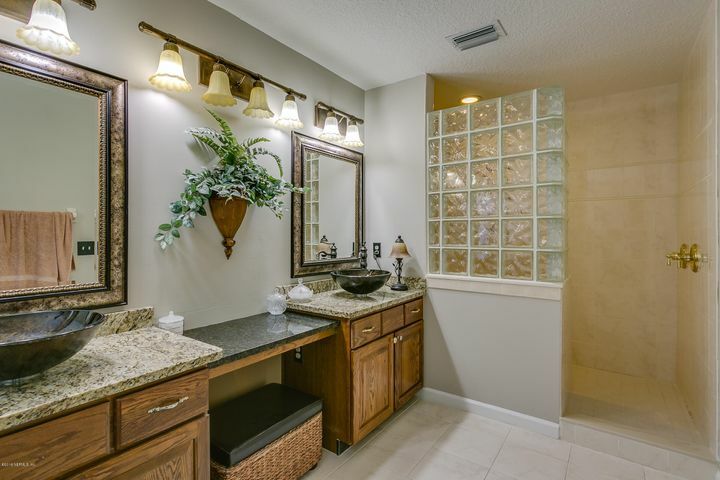 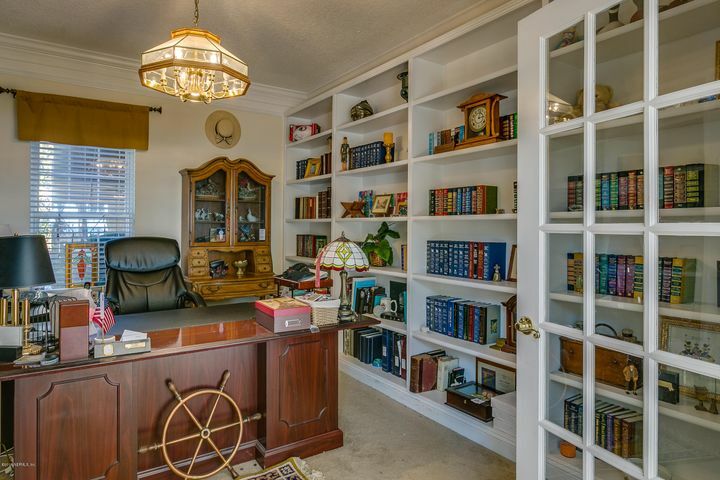 Wake up to gorgeous sunrises from this 5,700+sq ft home,complete with 5 bedrooms, each with en-suite bath & closet; separate office; game room & more. 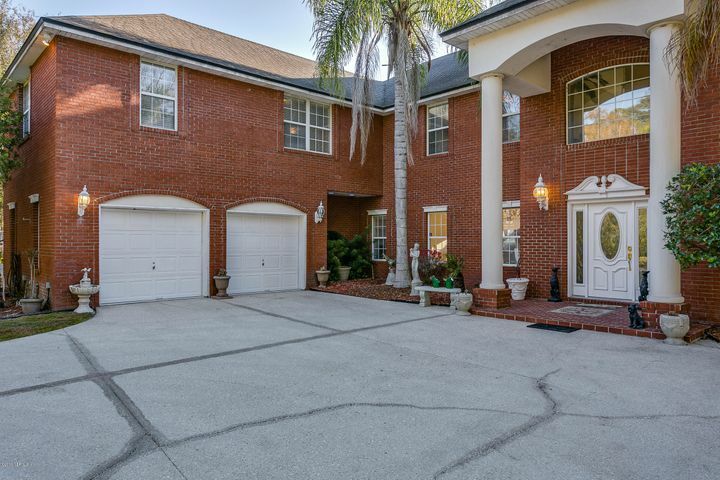 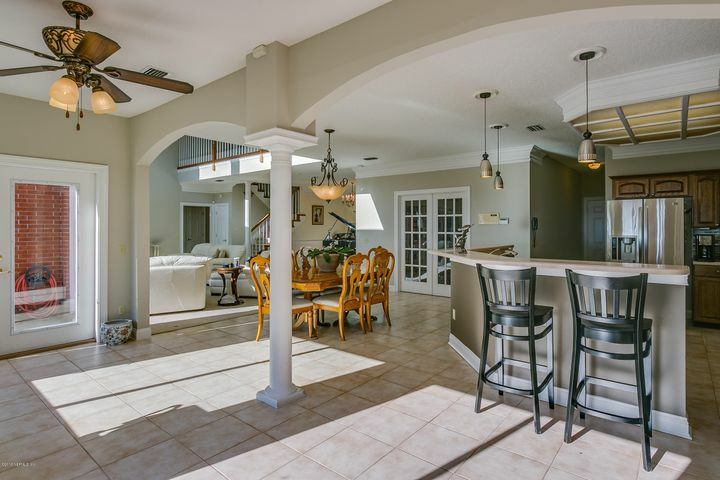 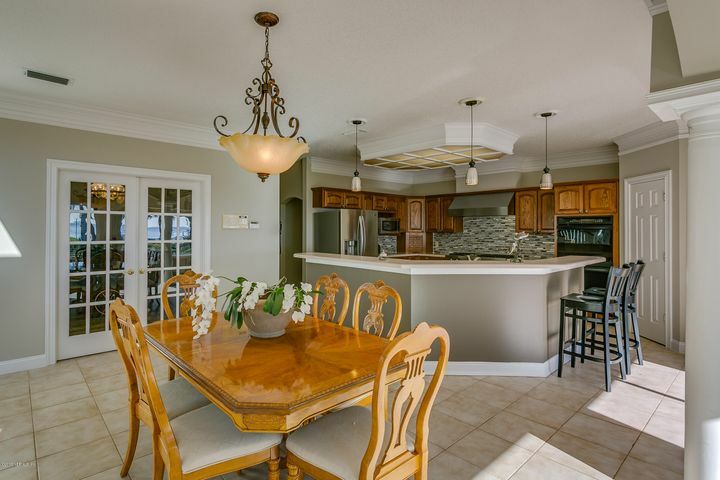 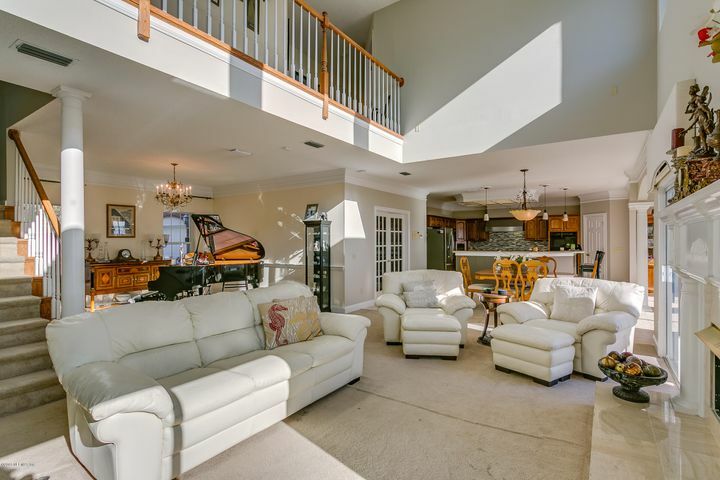 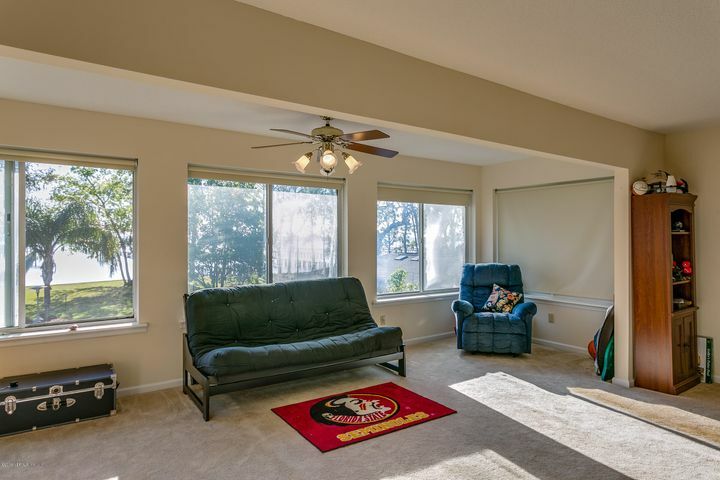 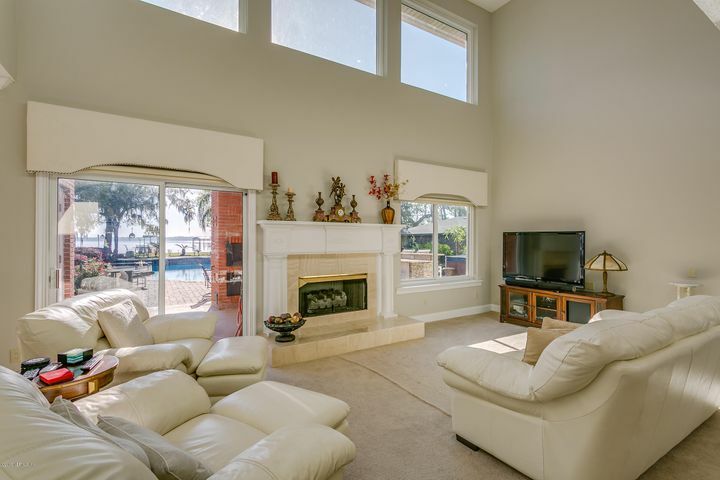 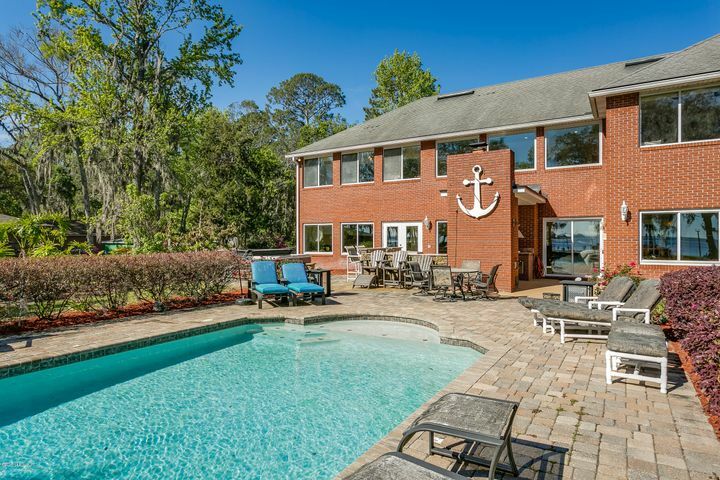 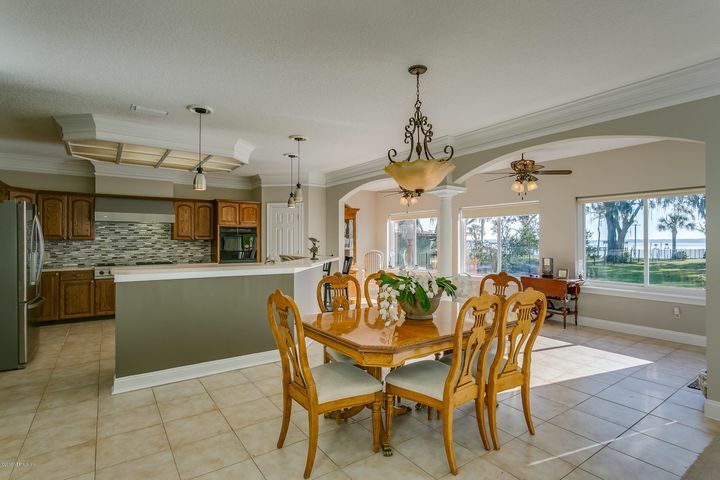 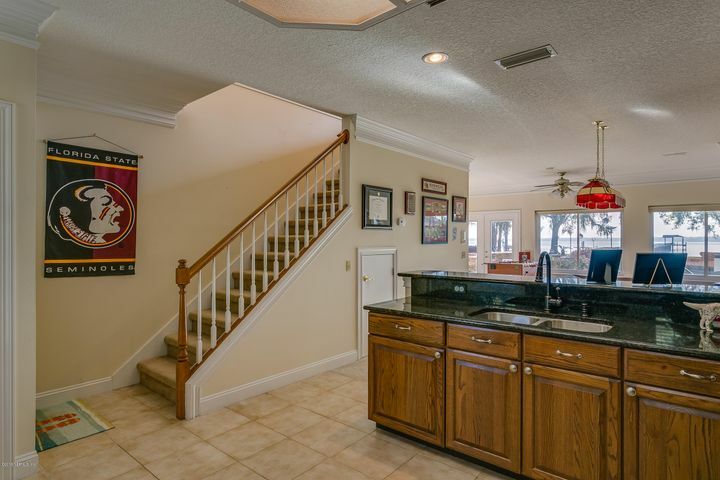 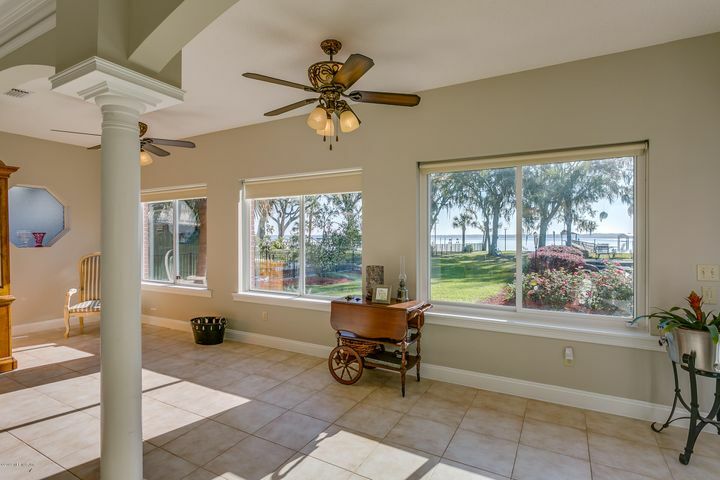 Open Foyer & Great room boasts 19' ceilings, adjoining Kitchen & Florida rooms & expansive windows. 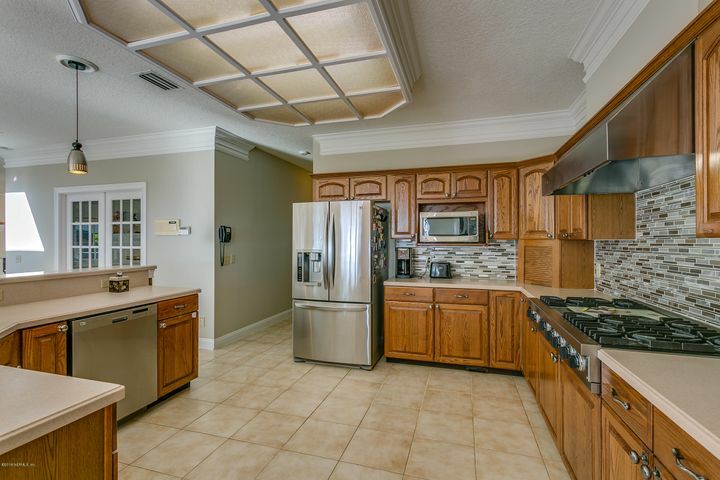 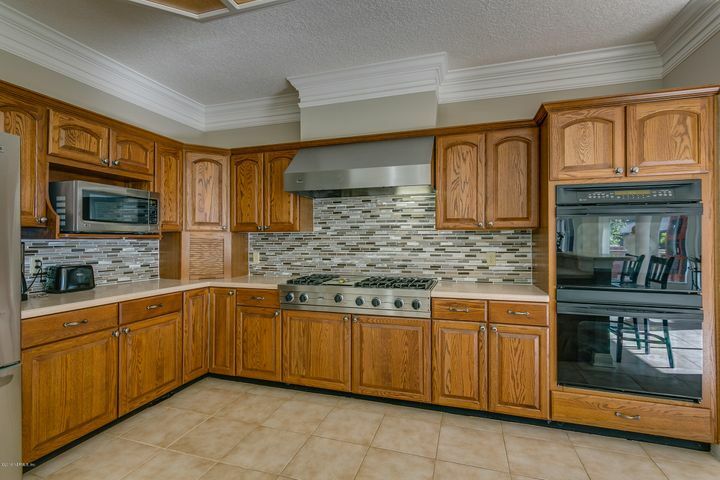 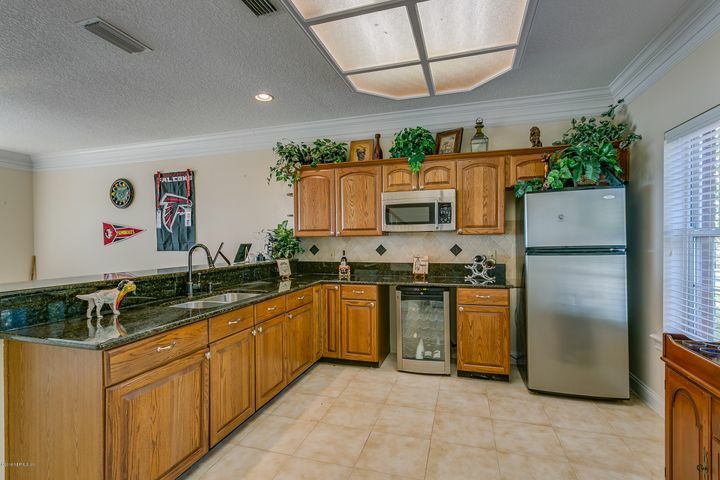 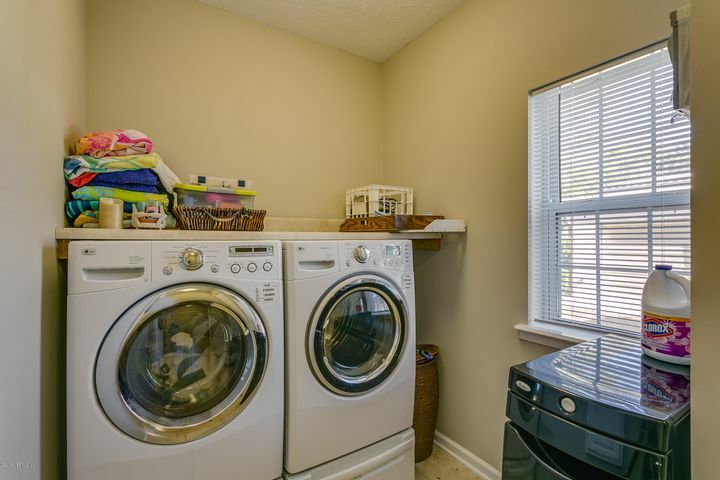 Kitchen is equipped with solid surface countertops, 6 burner gas Viking cooktop, glass tile backsplash, & ss appliances. 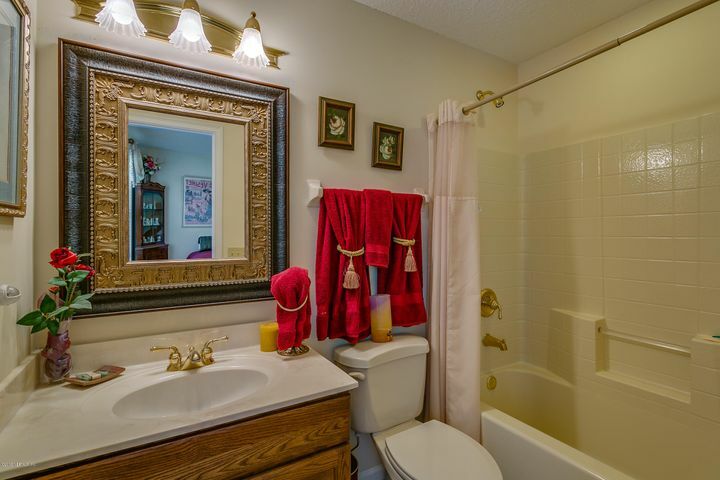 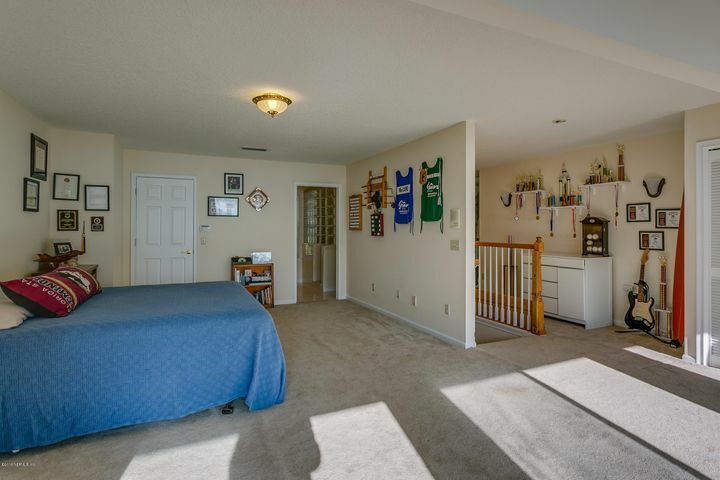 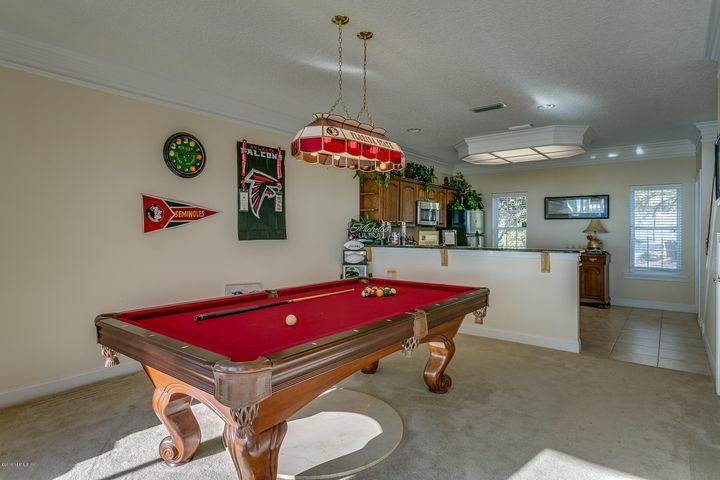 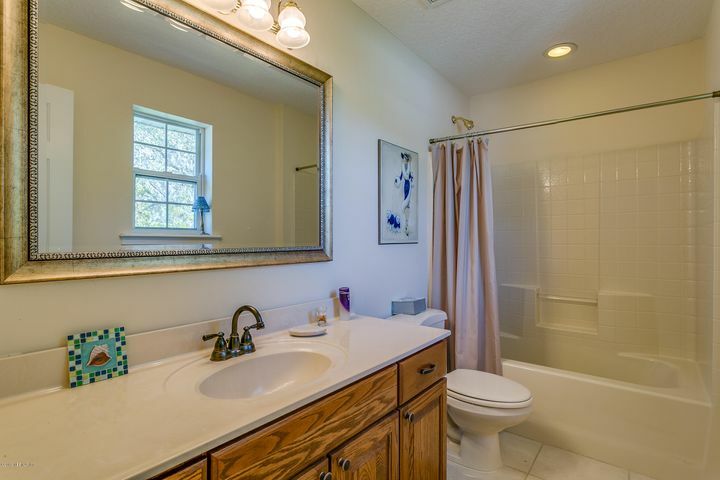 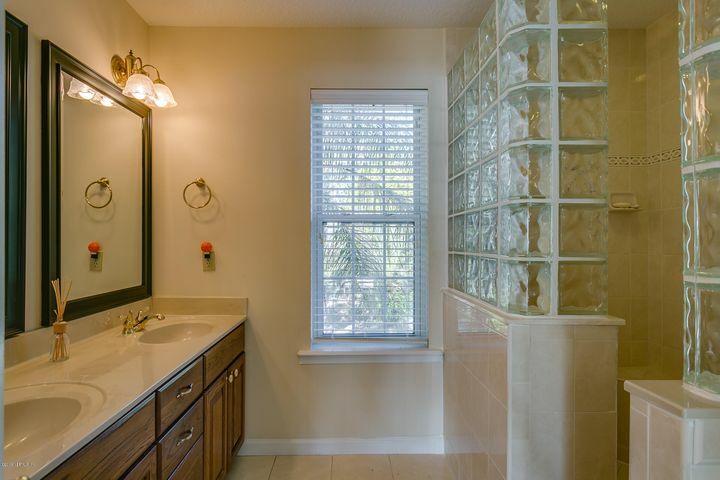 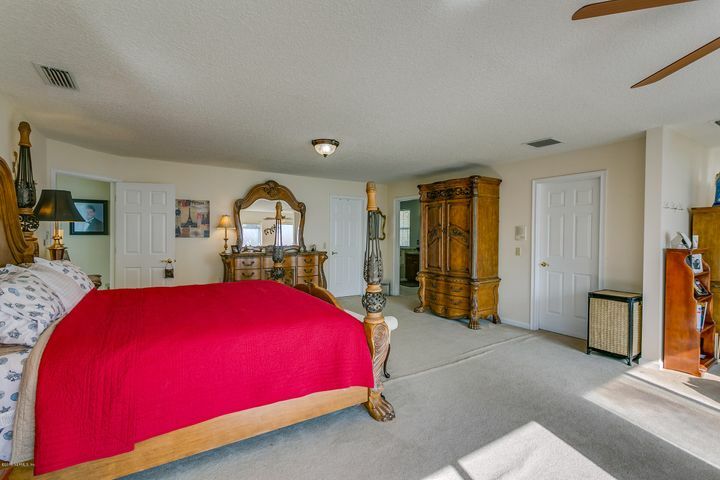 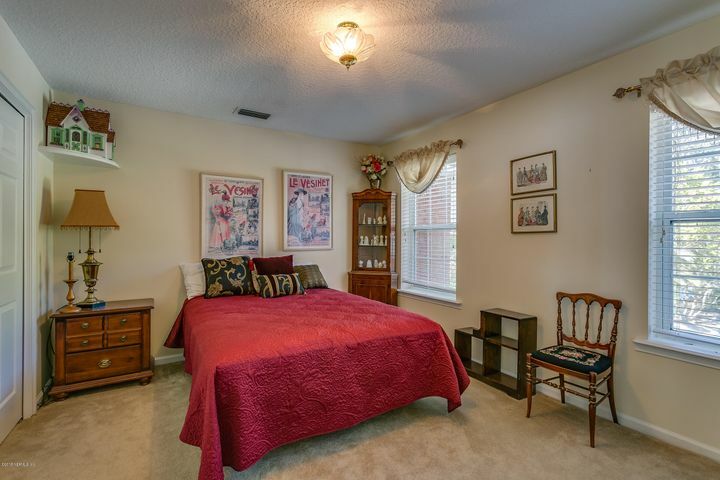 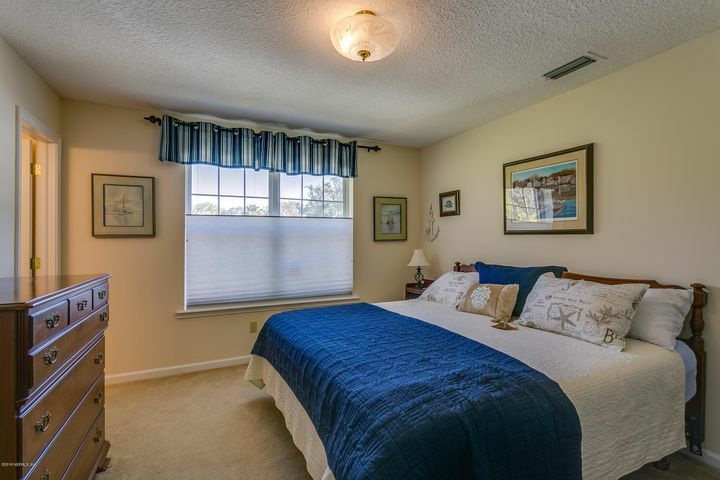 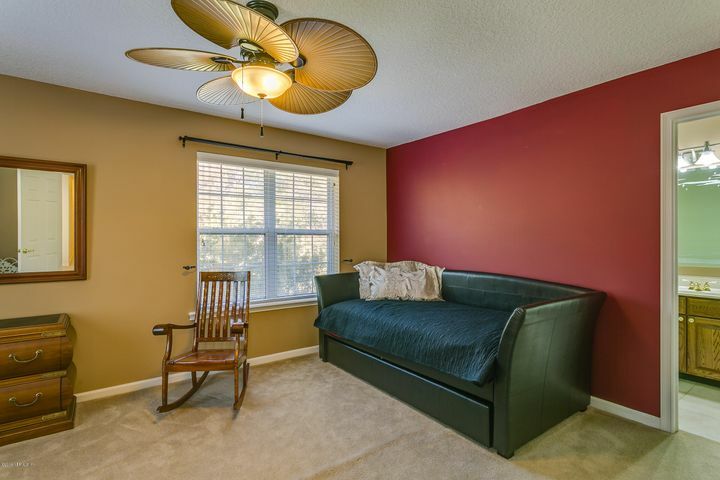 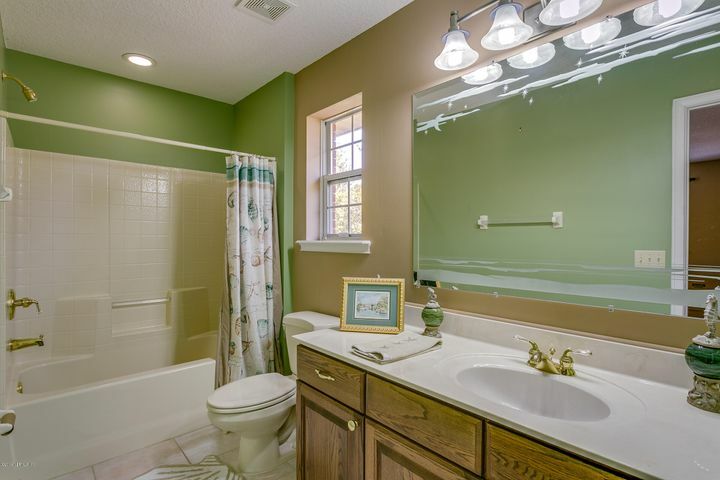 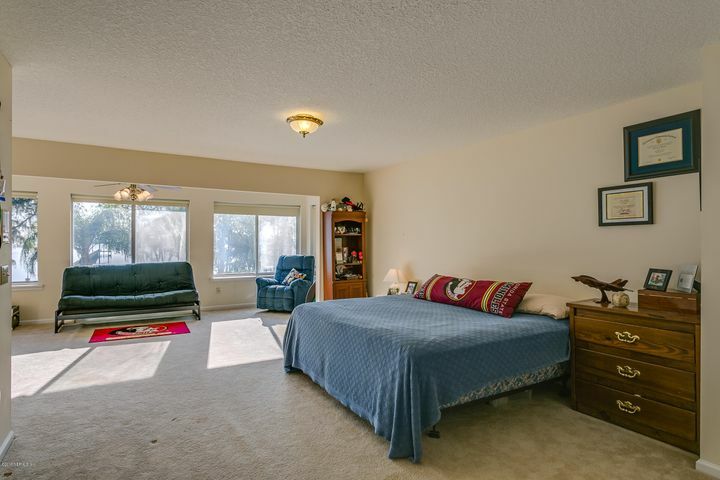 A portion of the house can be used as a private oasis, with second indoor kitchen, bedroom & bonus/game room. 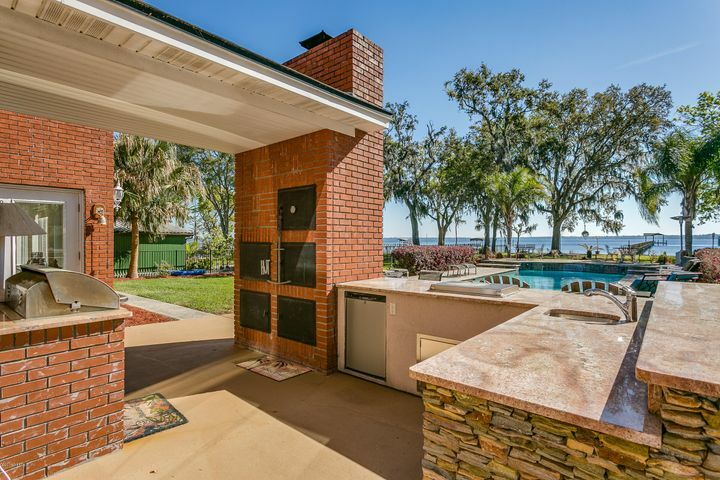 Live al fresco with outdoor summer kitchen, complete with granite countertops & built in smoker. 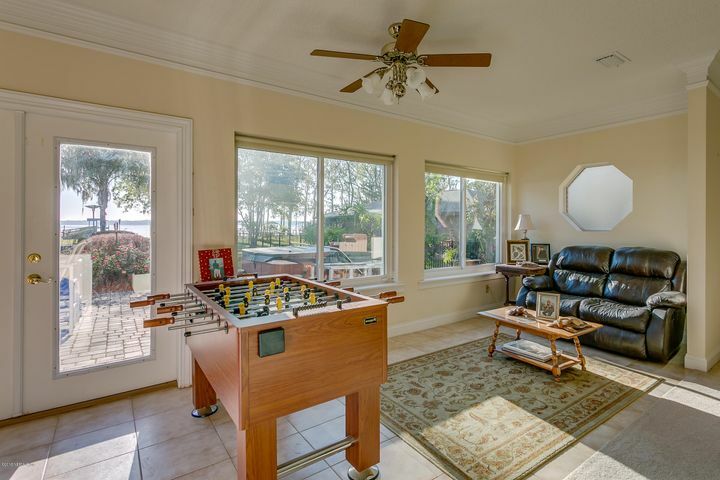 Relax, play & dine around sparkling pool, impeccable landscape & spectacular waterfront. 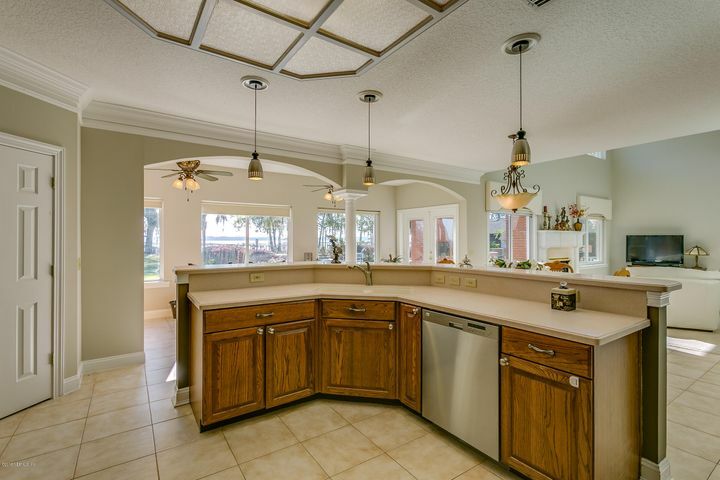 Dining light does not convey.